Students in Vernon Parish can receive college credit through CLEP testing. The College Board’s College-Level Examination Program (CLEP) has been the most widely trusted credit-by-examination program for over 40 years, accepted by 2,900 colleges and universities and administered in more than 1,800 test centers. This rigorous program allows students from a wide range of ages and backgrounds to demonstrate their mastery of introductory college-level material and earn college credit. Students can earn credit for what they already know by getting qualifying scores on any of the 33 examinations. While CLEP is sponsored by the College Board, only colleges may grant credit toward a degree. Not all colleges have the same CLEP policies—some colleges accept credit for a few exams, while others accept credit for all of them. A college often grants the same amount of credit to a student who earns satisfactory scores on a CLEP examination as it does for a student who successfully completes the related course. 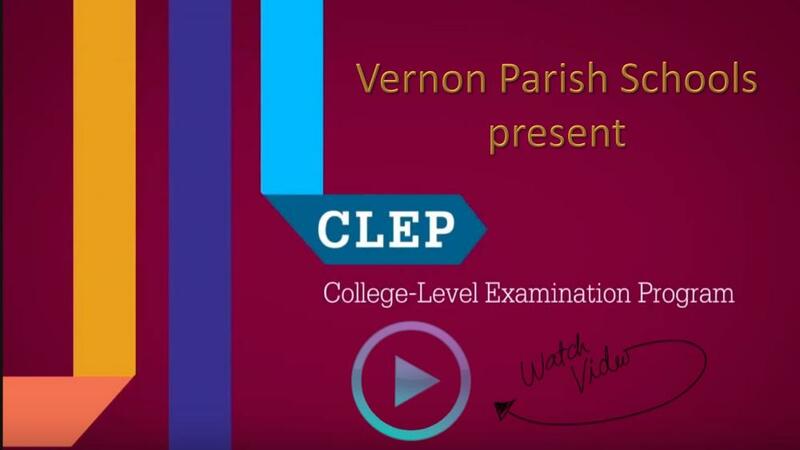 Vernon Parish students can now take their CLEP tests without leaving the district. The Vernon Parish School Board is now an officially recognized CLEP center. For more information on CLEP testing, see the CLEP website or contact your school’s counselor.